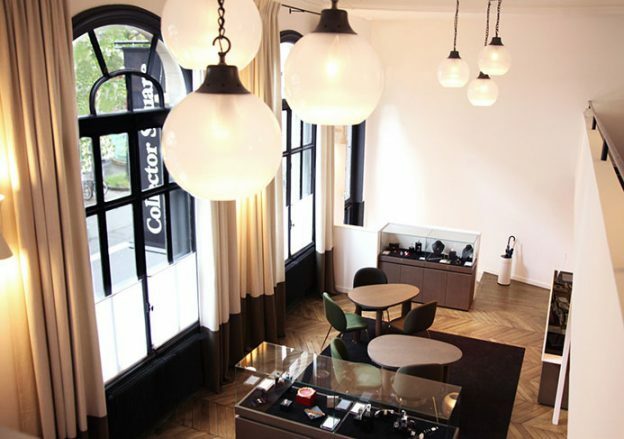 This week discover: Les Bonnes Crèmes shop, The Sohso Restaurant, The Clarins special calendar, The Pâtisserie Thoumieux, The store Bienvenue, Collector square, play Monopoly, Muji, Stella Forest, Frédéric Malle in the Marais. Happy Paris ! Les Bonnes Crèmes: a wonder! 13, rue Manuel 75009. Tel. 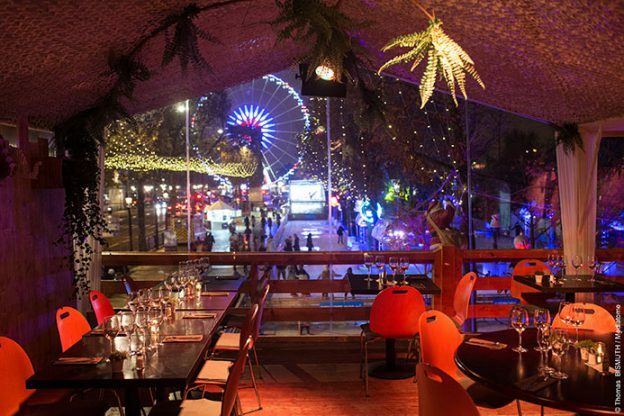 : 01 40 37 68 71 and at the water bar of Colette 213, rue Saint Honoré, 75001. Sohso: the Obelisk in the crosshairs! 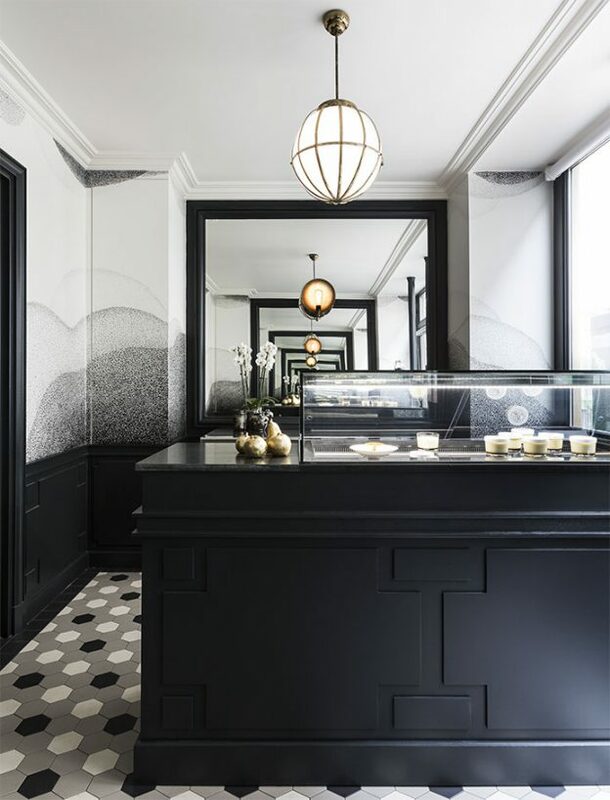 Located at 1 Avenue des Champs-Elysées, in the eighth district of Paris, the restaurant Sohso opened its doors on November 11th. In this ephemeral and astonishing place, perched in the trees, we taste the cuisine of Manuel Martinez, best worker of France, holder of a star, who puts forward a menu around marinated meats and fish. The little extra? The exceptional view on the Place de la Concorde. Until January 8, 2017 every day of the week: from Monday to Thursday, from noon to 1 AM and until 2 AM on Friday and Saturday and finally on Sunday from noon to 7 PM. To be the most beautiful under the christmas tree, not a minute to lose! Everything begins on December 1st with this sumptuous advent calendar of a special kind. 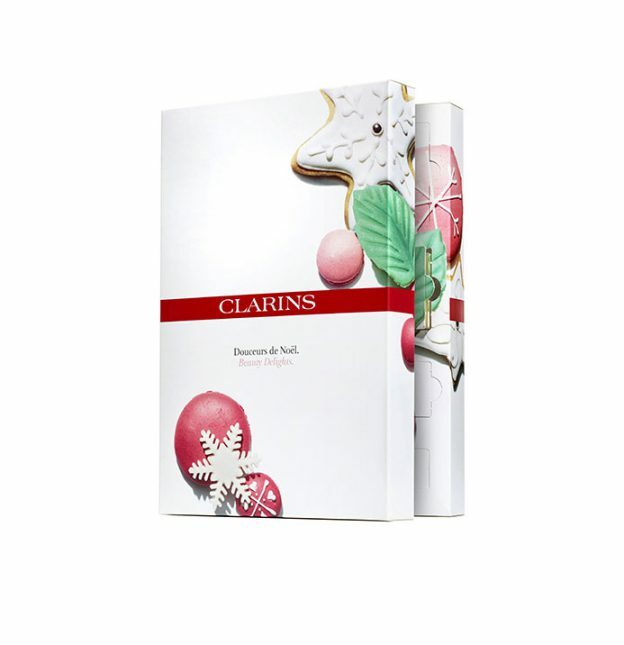 The Clarins house has enclosed miniatures of its most emblematic products in small boxes … Day after day, open a window and discover a surprise. Make-up, moisturize, illuminate with the most complete rituals for a year-end in beauty. This is also a good opportunity to test Clarins iconic products and new ones, smarter than chocolates! 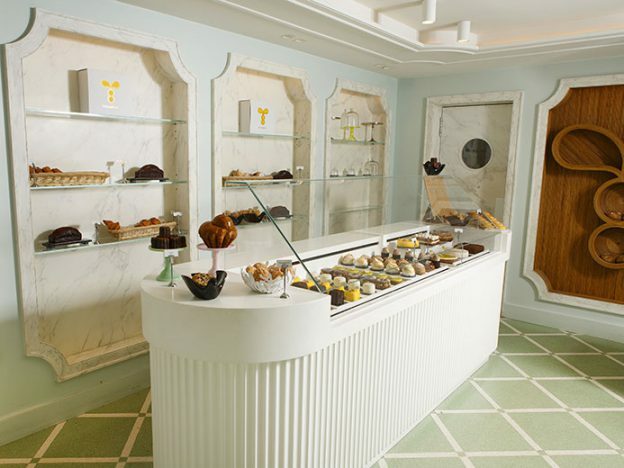 A. F.-M.
After taking over the reins of the Thoumieux house, hotel and restaurants: the Brasserie and the Sylvestre where it obtained 2 stars last February, Sylvestre Wahid inaugurated a pastry in September with the talented pastry chef Alexis Lecoffre. Good point: the pastries are created with natural sugars: honey and fruit concentrates. For the end of the year holidays, the two accomplices are proud to unveil their first log: a walk in Forest … Black! This signature log of Cakes Thoumieux offers a ganache with black chocolate Mekonga, a cocoa sponge cake, a zest of grilled chantilly and a jelly of morello cherries … Not to mention the other two logs: Le Citron, a light mousse with a lemon, a candied Lemons, a chocolate white hull … and Le Chocolat Sarrasin, a Carupano chocolate mousse infused with buckwheat … AF-M.
Thoumieux, 58 rue Saint-Dominique 75007, www.thoumieux.fr. Bienvenue: find the rare gem! In this vast white space, one is sure to find a subtle and sharp selection of trendy accessories and objects, from luminaries to shoes through notebooks, bags, small objects useless and funny as one loves … Impossible to leave with empty hands! Difficult to choose between the classics: LIP watches, Arpin plaids in 3 sizes, Victorinox Swiss knives … and the young houses that rise like Maison Baluchon with its pouches and tshirts: Un Pigeon dans Paris or Fils de Butte, made in Paris. We like that two thirds of the sold objects and products are from French manufacture. A. F.-M.
Bienvenue, 7, rue d’Hauteville 75010, www.bienvenuestore.com. A real cave of Ali baba for fashionistas! Here you can find everything that makes you dream of the fans of hype and high-end brands: Hermès, Chanel, Vuitton, Céline … almost new or even new for some jewelry Pomellato, Boucheron, Dior … Rolex watches, Cartier, Patek Philipp . Most ? Collector square has just settled in a superb and vast space. The prices of these wonders are 20 to 40% cheaper than new ones in their homes and the whole is obviously authenticated by experts.A. F.-M. 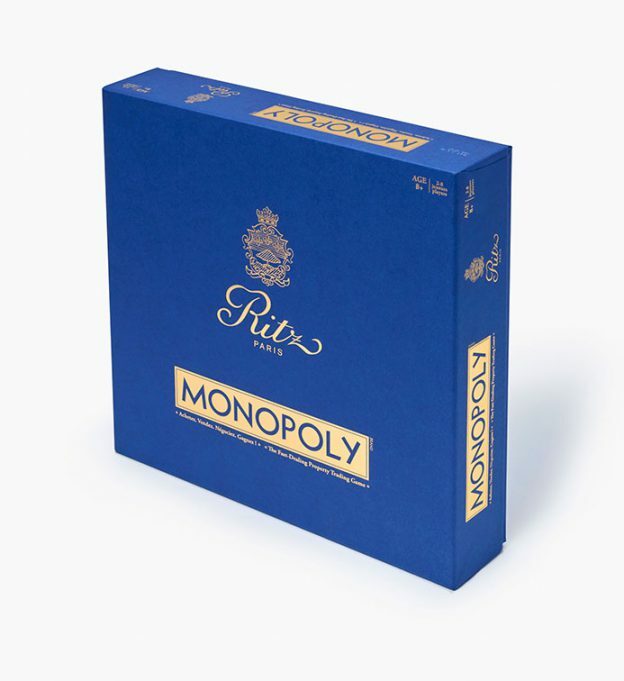 In the numerous and great innovations concocted by the Ritz for its reopening we noticed in the shop a Monopoly out of norm, carrossé of the blue Ritz. The streets and avenues of Paris are replaced by the emblematic places of the palace: Hemingway bar, Charlie Chaplin suite, Duke of Windsor suite, Ritz Club, L’Espadon restaurant, the state of the art being the Coco Chanel Suite and the Imperial Suite. And no way of playing with vulgar pawns: those of this Monopoly according to the chic of the place are luxury cars, Kingsize beds, yachts, toppers … So chic!A. F.-M. Since November 3rd, there is one more reason to spin at Muji: the Japanese brand now offers a selection of books Muji Books in the Paris flagship store at the Forum des Halles. Launched in 2008 in Japan and then declined in China, Taiwan and Hong Kong, the Muji books concept is a real success. 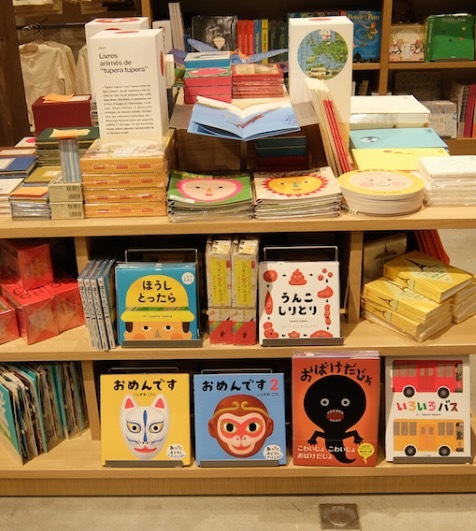 Among the worldwide works, Muji has selected books to offer, including animated books. Various works with the charm of each country and different eras are selected to offer, the pleasure of watching and touching. In this selection are illustrated books from all over the world, a good idea for Christmas gifts! : Animated books of tupera tupera: a duo of Japanese artists, a leading figure of young Japanese authors of children’, « half art-book and half-notebook » books coming from China in an original style: an alternation of white pages and illustrated boards, a fun gift for an adult. 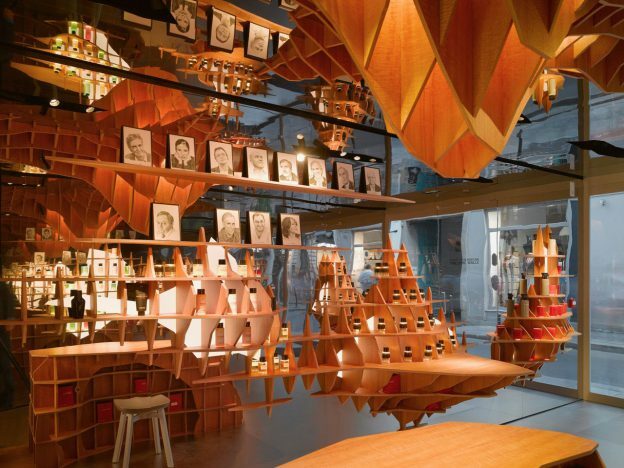 For each new store, the brilliant perfume designer partners with an architect he admires the work of… For this one he chose Dominique Jakob and Brendan MacFarlane, he liked the work for the Georges restaurant at the Centre Pompidou. They imagined a box placed inside an old building of the Marais. Inside, the elements become both shelves, tables, refrigerated cabinets. The floor, walls and ceiling are covered with mirrored and columns are hidden in the walls. The portraits of perfumers recall that these artists are at the heart of the house. We therefore chose with confidence a fabulous fragrance, including the last one: Portrait of a Lady, which also comes in cleansing cream and body and hair oil. 13, rue des Francs Bourgeois 75004 Paris.